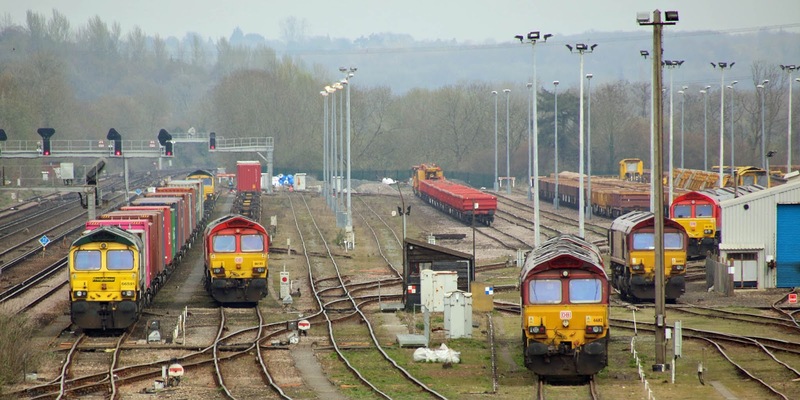 A time of change where DB Cargo are exiting East Yard, to handover much of the activity to GBRf, and Colas are changing their duties away from Westbury and Hoo turns towards Hinkley and Bescot. 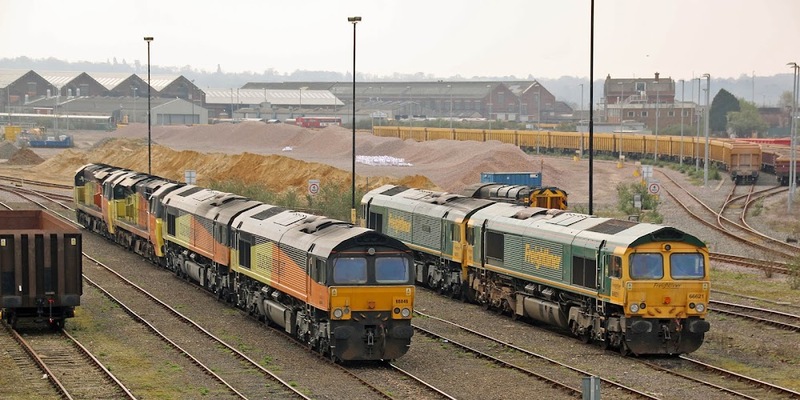 The other DB locomotives are likely to be 66035 (DB Red), 66089 and 66165. 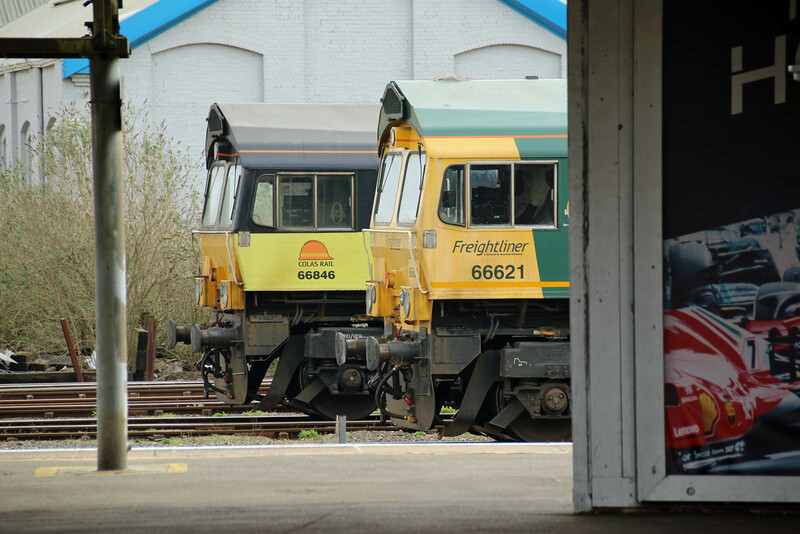 66846 and 66621 are seen through the platform and canopy. 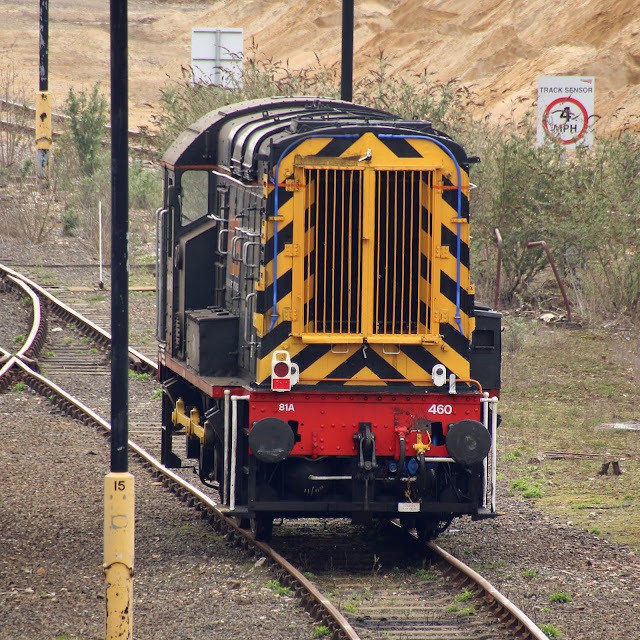 08460 is the new 60 year old shunter in town (the station was gated closed when I visited). 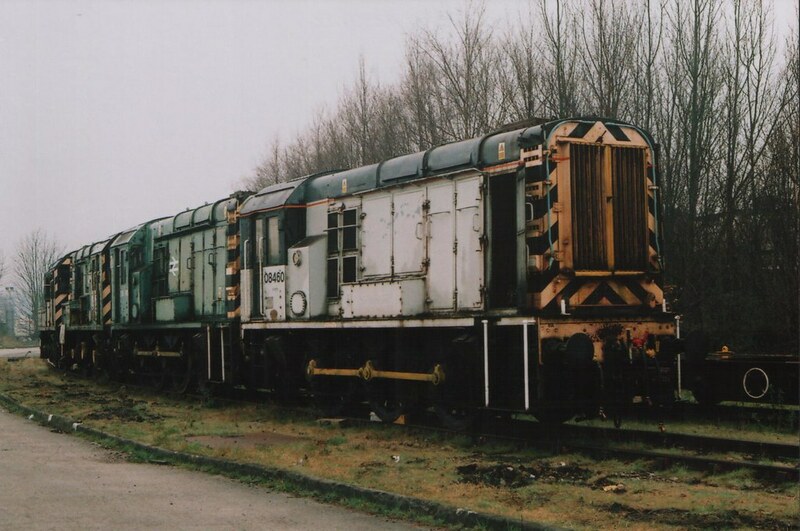 New as D3575 from BR Crewe on 13th August 1958, allocated to Toton, but from October that year it worked in the Sheffield area. 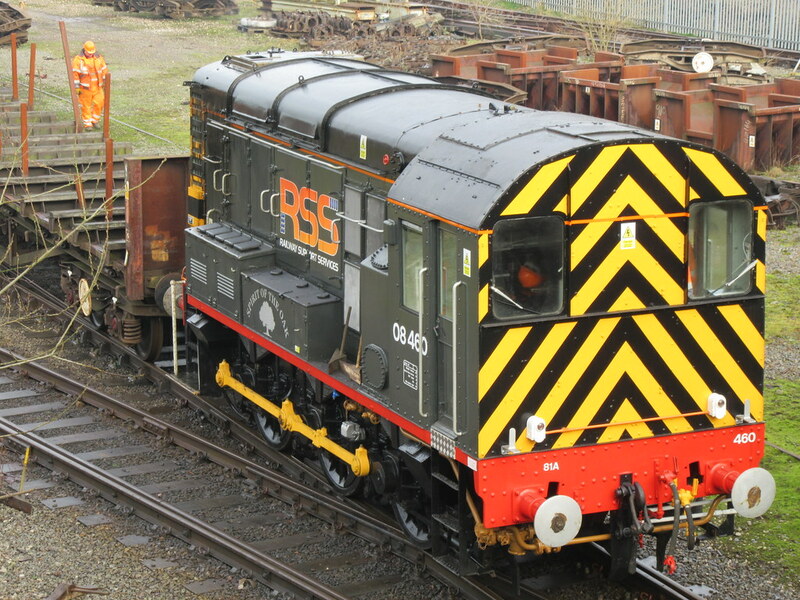 Renumbered to 08460 in March 1974. Sold in February 2007 to Traditional Traction from Allerton, it has was moved in March 2007 to the Colne Valley Railway, spending some time working at Felixstowe. Overhauled in 2016 at Wishaw and recently in usage at Axiom, Stoke.